Volunteering with JA Ottawa: a Win-win for Students and Volunteers ! Grade 8 students at Cedarview Middle School taking part in JA Ottawa’s Economics for Success workshop. The one-day program introduces youth to the concepts of financial literacy through hands-on tasks, such as preparing a personal budget. Every year, JA Ottawa reaches thousands of youth through hands-on activities and workshops that aim to introduce students to financial literacy, entrepreneurship and work readiness skills. This school year, we’re hoping to involve over 6,500 students through JA Ottawa programs, an achievement that would simply be unimaginable without the support of our hundreds of volunteers. Harry and Ty have been volunteering with JA Ottawa for three years through Carleton University’s Sprott School of Business. 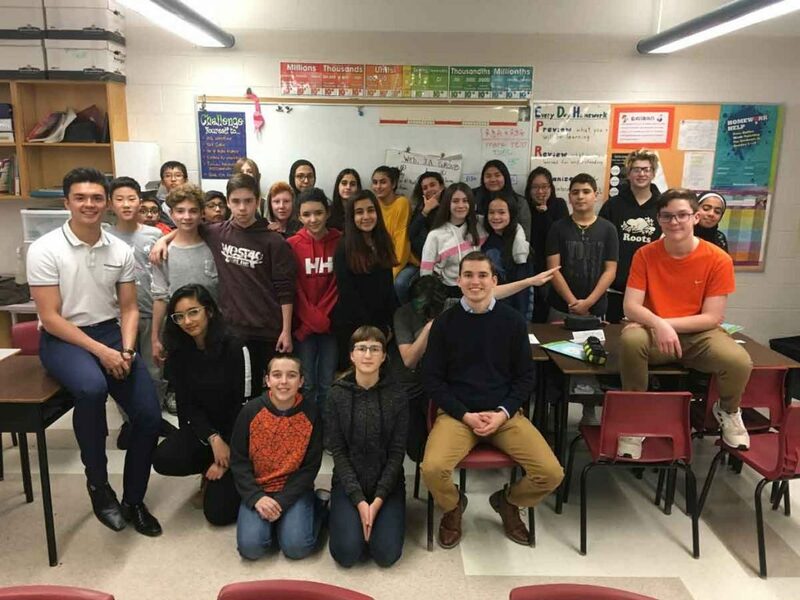 Volunteering with JA Ottawa has allowed them to apply their knowledge in a concrete manner while teaching young and eager minds: “Having the opportunity to teach young students and getting in the classroom has always been an exciting experience. It is really important and fulfilling for us to help make sure that students are prepared for the realities and challenges of post-secondary education.” They add that JA effectively prepares students to tackle real world financial issues. As long-time volunteers in the program, the pair has become especially familiar with the numerous benefits of JA Ottawa. The two stress that “JA is not just a one-dimensional learning program.” The driven duo has seen first-hand the interactivity between the students and JA facilitators, a dynamic which they say favours and enhances students’ learning. They are also thankful for the opportunity to visit local classrooms as it allows them to teach crucial financial literacy skills to young students, a skillset they wished they had learned in school. Our many volunteers make our programs tick. Thanks to Harry and Ty for their continued devotion to JA Ottawa! “We would both definitely recommend JA for students, as well as volunteers. 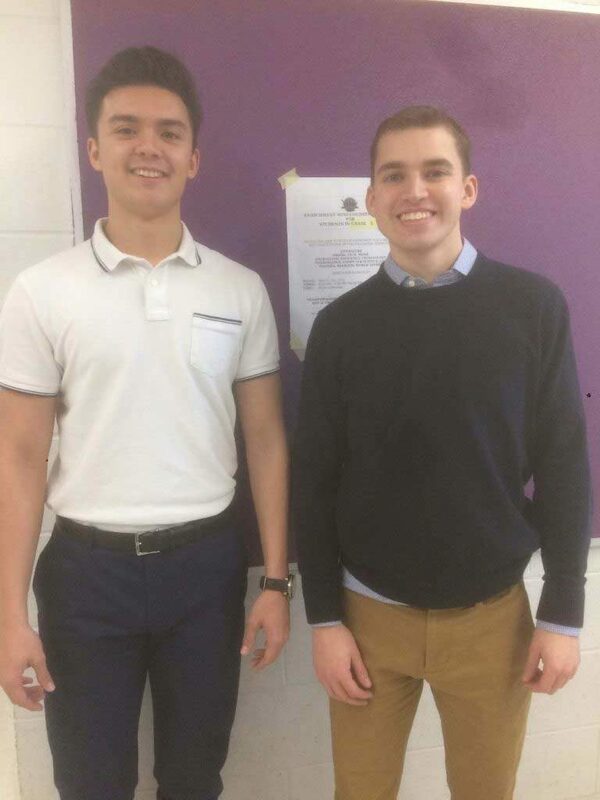 The experience provides a lot of valuable information that may not be included in the day-to-day school content.” Harry and Ty have volunteered with JA Ottawa for three years.